Christoph Jakob supports foremost our clients from owner-managed, medium-sized companies. An expert in financial affairs and specialist consultant in company rescue, insolvency and administration for the German Association of Tax Advisors (Deutscher Steuerberaterverband e.V. ), he is primarily responsible for clients in the areas of buying and selling businesses, either as a whole or part thereof, succession arrangement, restructuring and raising of capital. In addition to his commitment to SilverSky Life-Sciences, Christoph is a second-generation member of the management board of the auditing and tax consultants Jakob & Sozien. 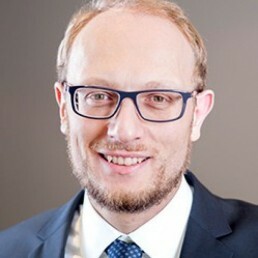 Christoph was formerly a senior advisor for McKinsey & Company, Inc. focusing on restructure and management of production. Through his extensive work with both German and multinational companies such as Daimler AG, Freightliner, Inc., USA and Volkswagen of South Africa, PLC, he has amassed both in-depth expertise and a global network with first-class business contacts. Christoph is an economics graduate of the Universities of Witten/Herdecke, Germany and Auckland, New Zealand.